My great-grandmother Ethel was an intermittently devoted scrapbooker—in high school she clipped and saved newspaper articles detailing school activities and local events she’d attended. 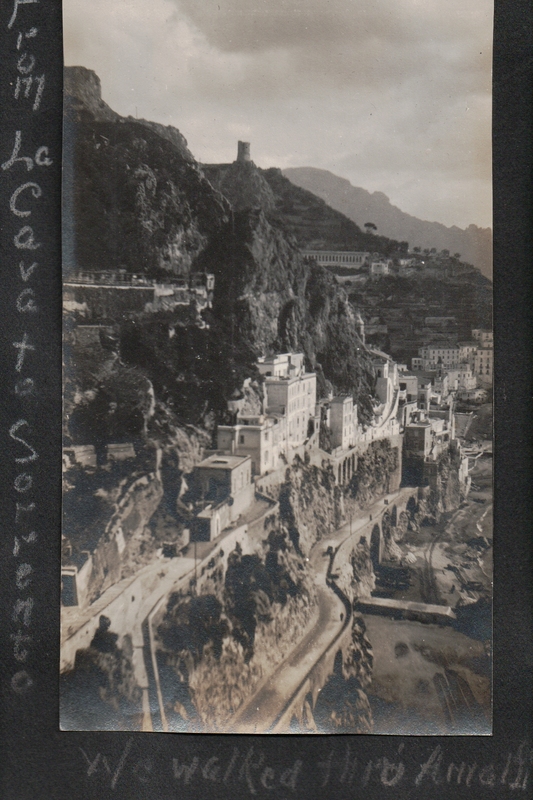 In the early years of her marriage she created beautiful scrapbooks of her honeymoon trip to Europe and her children’s infancies and childhoods. Today these scrapbooks are more than a century old! They’re in pretty good shape, but they won’t always be. I have been at a loss as to how to preserve them—what’s the best way to store them? 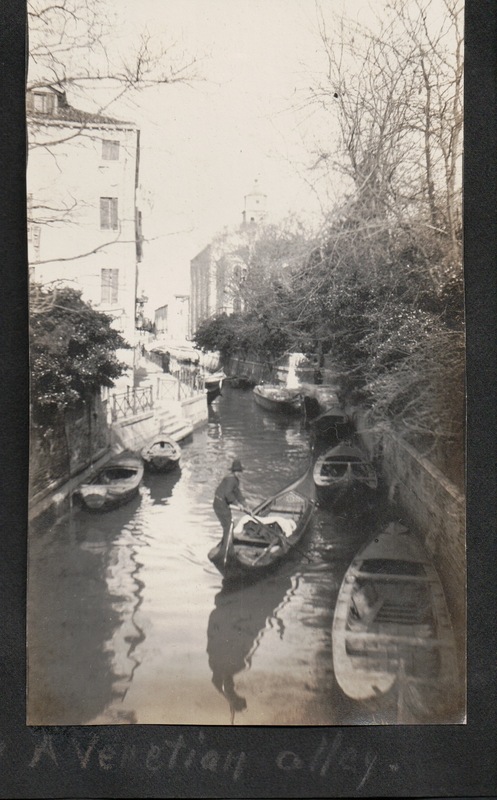 And what about acids in the paper pages—were they slowly destroying the photographs? Meanwhile, I’d like to make good digital copies of the old photographs to preserve them—but the scrapbook pages are bigger than my scanner bed. 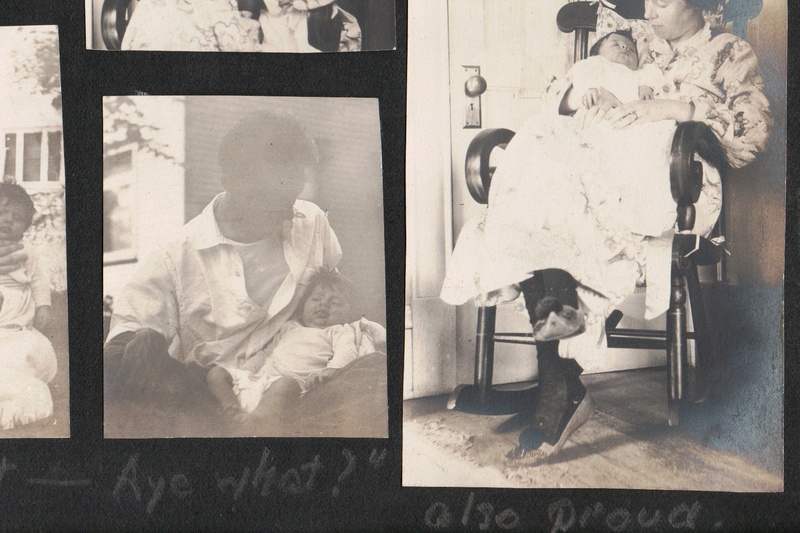 Should I disassemble the scrapbooks, scan the images, and then reassemble them in archival-quality albums? That sounds like a risky proposition, and I’d lose all of Ethel’s charming inscriptions. 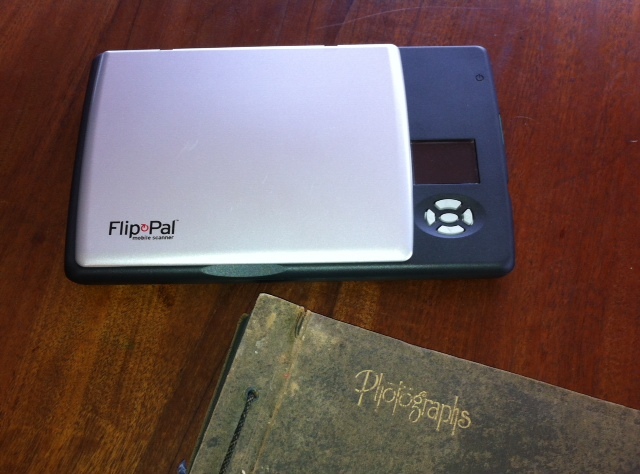 Enter my new Flip-Pal mobile scanner! Battery-operated and completely portable, the scanner is set up so that I can just place it over the scrapbook page (or the old family Bible record page, or any document I can’t drop onto my full-size scanner bed), press a button, and scan the image to an SD memory card for upload to my hard drive later. Yes, that top left corner is a little tight. When I do this for real I’ll loosen the string binding so I can get a better scan of each corner. Still, pretty awesome! So the Flip-Pal will take care of digitally preserving Ethel’s scrapbooks. But what about preserving the scrapbook itself? 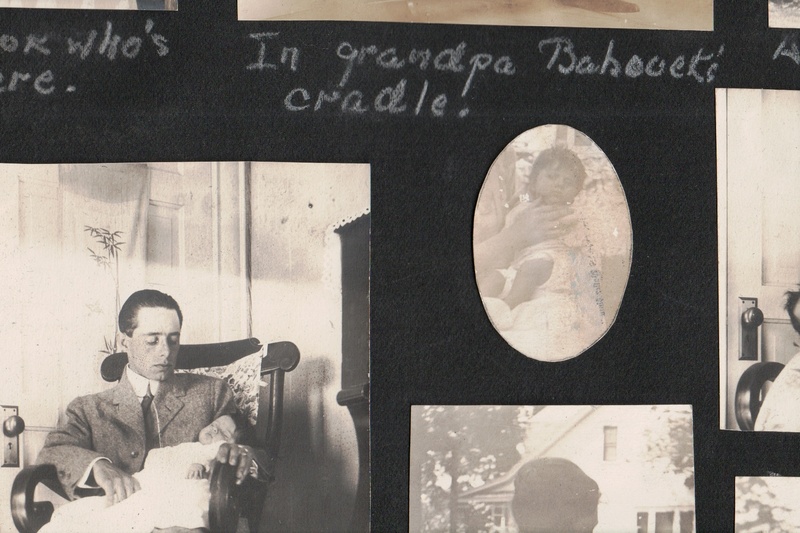 Old scrapbooks are tricky because they typically contain so many different types of materials—everything from newspaper clippings to hair ribbons to pressed-flower corsages. These materials each have their own storage requirements, and some of them, like newspaper, are highly acidic and therefore can damage other materials in the scrapbook. And then there’s the glue, tape, and other adhesives that also can be hard on the items they affix to the scrapbook. Even worse, the paper pages of the scrapbook itself can be destructively acidic. Storage. The key to stewarding old scrapbooks into their second century is keeping them cool, dark, and dry—no more than 65 degrees and 40 percent humidity. Temperature and humidity fluctuations cause scrapbook contents to absorb moisture and expand, then dry out and contract—increasing damage to bindings, adhesives, and the materials themselves. For this reason, beware of keeping your old scrapbooks in damp basements or attics with poor insulation. I just moved all of my great-grandmother’s scrapbooks to the guest room closet—it’s dark, cooler than the other rooms in the house, but pretty much stays the same temperature all year. It’s not perfect, but it’s the best I’ve got. Rehabilitation? 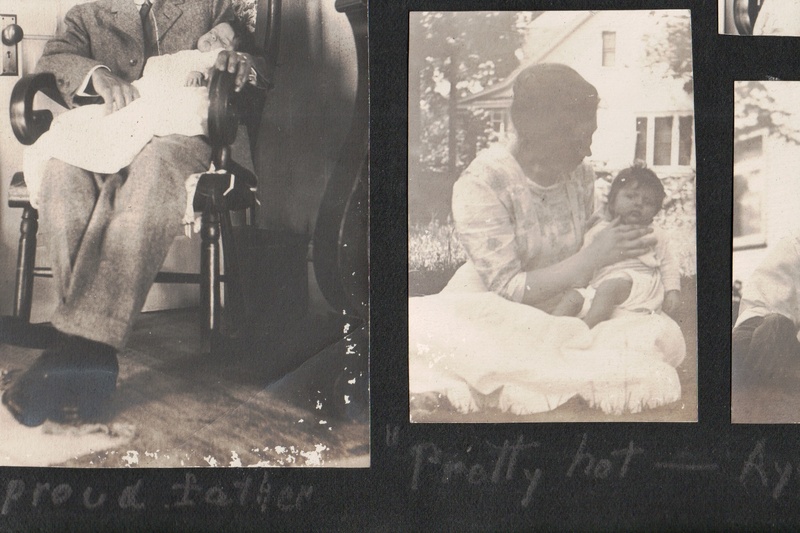 I’m pretty sure my great-grandmother’s scrapbooks are constructed of paper boiling with acid that’s slowly eating away at her photographs. My first impulse on discovering them was to deconstruct them and rearrange their contents into nice new bindings, on archival paper, with inscriptions copied in acid-free ink. The National Archives, however, cautions against doing that in most cases—and never before making good-quality photocopies or scans of each page. It turns out that the old black-paper scrapbook albums aren’t all that bad, and even disassembling those old self-stick albums we used to use can be tricky. The key here is to proceed with caution, and only after researching the alternatives. 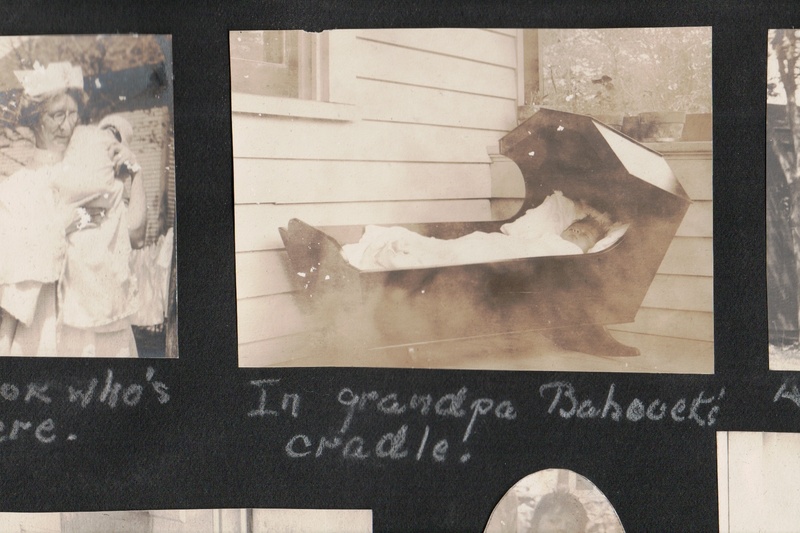 Sometimes the best way to preserve an old scrapbook is just to store it safely. Want to learn more? Happily, there are many, many resources out there. For instance, the National Archives provides excellent guidance on preserving all kinds of family artifacts. 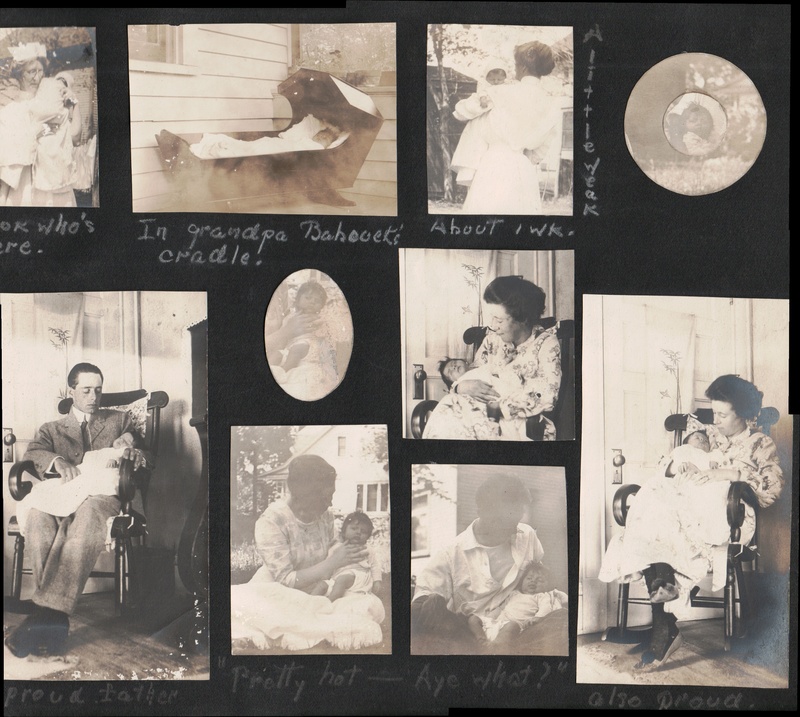 The Library of Congress offers information on caring for and storing old photographs. And the Smithsonian Institute even provides a list of purveyors of archiving supplies! So do some reading and equip yourself to preserve your valuable family artifacts for your children and grandchildren. Then tell us about them! That is incredible, how the scanner stitches the album pages back together! You are doing such a wonderful job preserving your family’s history… and what treasures your great-grandmother left for you. Many thanks for all of your tips. I would have guessed that those old traditional black pages were teeming with acid… who knew? Good to know that they’re not so bad after all. Keep up the great job! Chris – I found your blog so interesting! Love the new funky equipment. 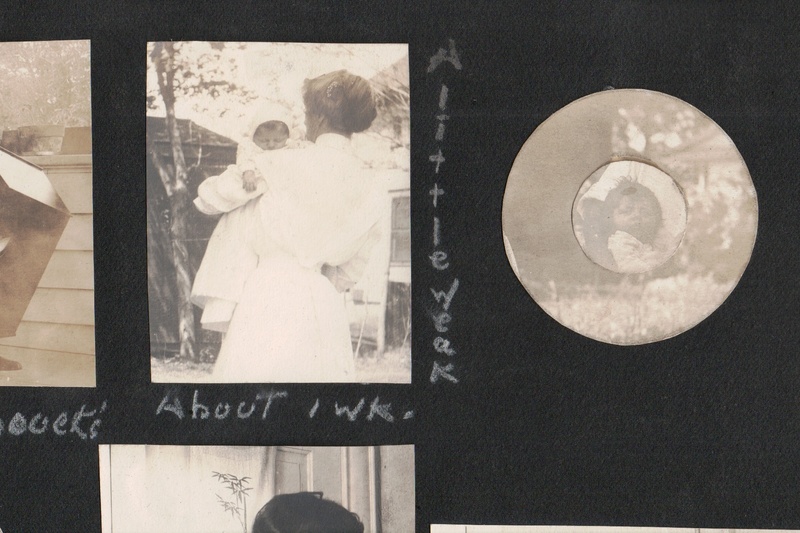 And, instinctually I had taken my baby album/scrapbook (yes, I’m beginning to consider that “antique!”) – which really looks so old fashioned to me by now, and stored it in the same manner you recommend. Now I know I did the right thing! Hopefully the black page / white chalked writing baby album will hold up to be able to share with my son and his family … so far, so good! Thank you for this valuable information on preserving our family memories and history! Glad you’re taking good care of your baby books! 🙂 Thanks for the encouraging words, too! 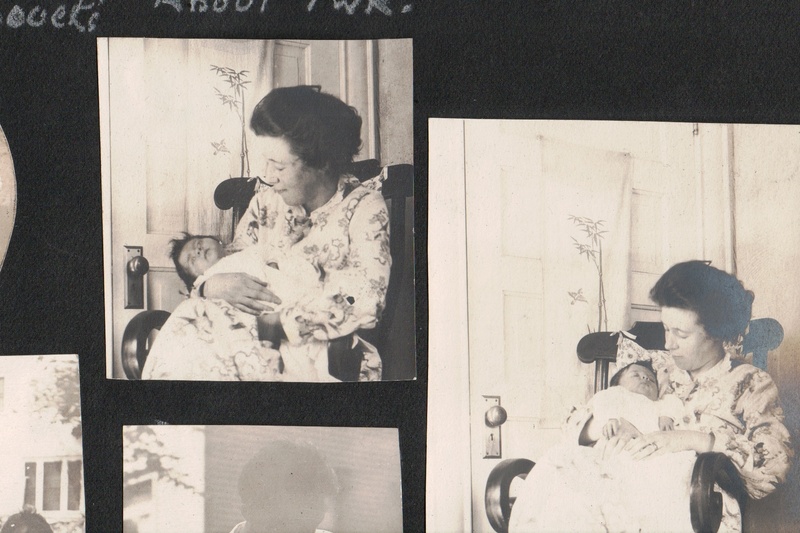 Aren’t we fortunate that our grandmothers kept scrapbooks and Diaries? I have 32 scrapbooks that my Grandmother made. I took #32 to the UPS store. They have a large scanner that can capture a full page. I do my own scanning to their computer. They then burn a CD for me. I started with # 32 because it has the least items of sentiment for me and I think I will learn as I go until I get to the really good stuff. The first cost me $8.00 but I can put multiple scrapbooks on the same CD. If I furnish my own Cd’s it would be cheaper. I plan on doing all of her scrapbooks and photo albums. I only have 1 of her diaries. I’m trying to preserve as much as possible. I hope my Grandchildren can appreciate her insight to life.